Who Is Most Likely to Get a Pay Raise? A new study aims to ensure employers make fair, equitable pay adjustments across their organization. A worker’s likelihood of getting a requested pay raise may be directly tied to his or her skin color, according to new research. PayScale has released new research showing which employees are asking for pay raises and which employees are receiving them. 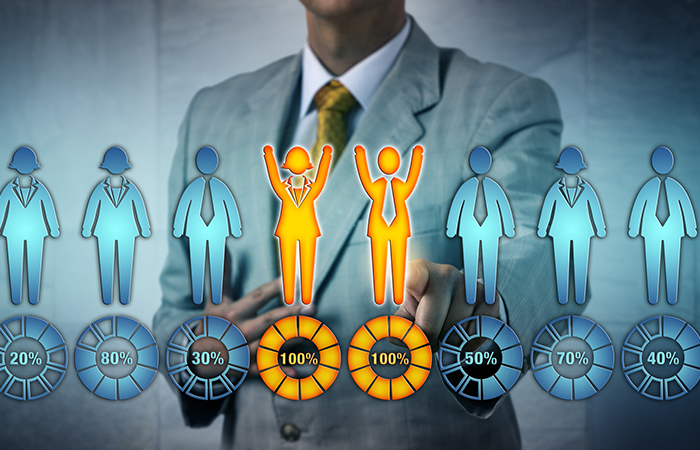 The firm surveyed more than 160,000 respondents for information regarding their salary, demographics, job and organization, as well as their history of asking for raises at their current employer. The report, titled “Raise Anatomy,” is designed to educate both employees and employers about biases that may impact pay decisions in an effort to achieve equitable pay raises regardless of race or gender. One of the key findings from the report is that white men are far more likely to actually get a raise when they ask for it than people of color. The majority of employees (70 percent) who asked for a raise received at least some pay increase. Of those who asked for a raise, 39 percent of employees got the amount they requested, while 31 percent received a smaller raise than requested. The most common justification for denying a raise was budgetary constraints (49 percent). Only 22 percent of employees who heard this rationale actually believed it. One third of workers report that no rationale was provided when they were denied a raise. When workers don’t believe the rationale, or aren’t provided one, they reported lower rates of satisfaction with their employer and reported being more likely to quit. Of those who said that they did not ask for a raise, 30 percent reported their reason for not asking was they received a raise before they felt the need to ask their manager. When employees don’t have visibility into the factors that determine pay, added Mollie Lombardi, CEO of Aptitude Research Partners, they’re prone to develop a strong feeling that they’re underpaid and need to look elsewhere to be valued. Leaders from Lincoln Financial, IBM, Danaher Corp. and ADP were inducted into the National Academy of Human Resources. Is an Aon-Willis Merger Coming? Apparently Not! Aon has backed away from its plan to acquire its rival.